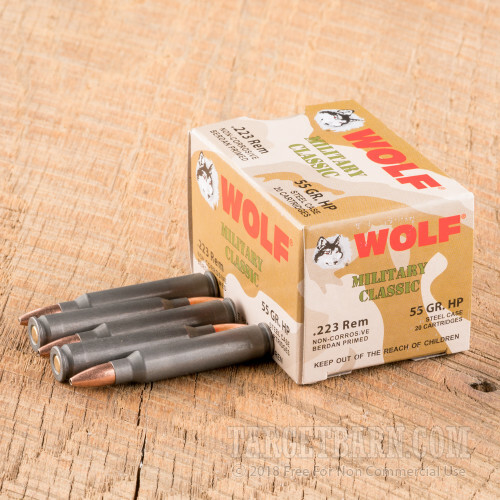 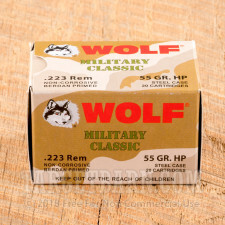 Made in the heart of Russia, Wolf WPA Military Classic 223 Remington Ammunition is economically priced for the high-volume shooter. 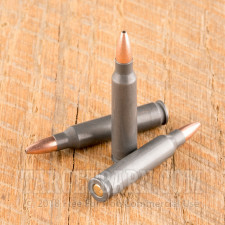 These rugged rounds are an affordable option for target practice, tactical drills, or small game and varmint hunting. 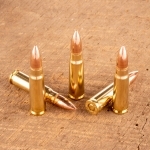 Each of these 500 rounds is loaded with a 55 grain hollow point (HP) projectile. 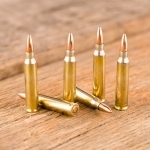 Designed to expand upon impact to disrupt soft tissue as it travels through the target, these hollow point bullets create a wide wound cavity without the threat of over-penetration. 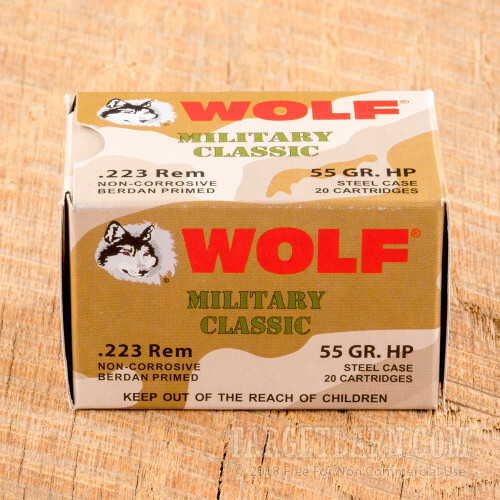 Wolf Military Classic Ammo features Wolf's patented PolyFormance coating that ensures smoother cartridge feeding, function, and extraction. With reliable ignition and smooth functioning even in adverse conditions, these rounds offer affordable shooting no matter the weather or setting. 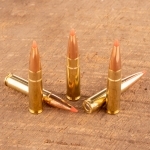 These are non-corrosive, new production rounds loaded Berdan primers in polymer-coated steel casings. 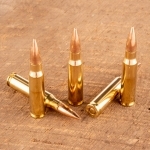 Each round produces a muzzle velocity of 3241 foot pounds and a muzzle energy of 1283 foot pounds.